There is nothing I like better than discovering old buildings like these. Interestingly, both of these can be found in pasture fields. 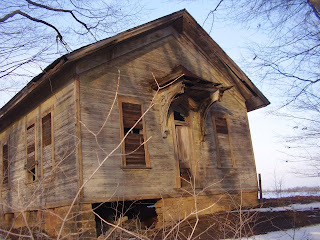 The first one, with the beautiful overhang above the door, is found outside of Hanoverton on a back road. The second is in Dungannon, on Gavers Road. I am fairly certain the Dungannon building was a school. A nice family across the street from it informed me the building was over 100 years old. It was eventually converted into apartments, but that was long ago too. The other building, I have no idea what it was originally. Either a church or a school. Both are eye magnets, at least for me. At one time they may well have been the center of a settlement from long ago. 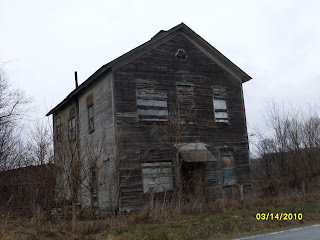 Now they are part of Columbiana County's lost history. If you know anything about either of these buildings, please let me know.